Mat Latos will take to the hill in search of his first victory of the season.Ã‚Â Latos has allowed 3 runs or fewer in each of his 4 starts this season and could just as easily be 4-0 rather than 0-0.Ã‚Â He’ll face off against the wide-receiver guy from Notre Dame in today’s afternoon faceoff. It’s day game, and as per Redleg Nation tradition, tell your boss to shove it because you are watching the Reds game.Ã‚Â I know I will be watching from my computer today!Ã‚Â Go Reds! Hope you guys duck the weather we’ve been having in Louisville this morning. redsies, how ya doin? how, how ya doin?! Looks like the bulk of the rain is just now exiting Cincinnati. There could be some more showers, but game delays should be minimal, if there are any at all. @renbutler: Oh, there will be delays. Pitching changes for the Cubs and lots of HR’s for the good guys. I’m looking for the series win .. last night was disheartening. It’s still pretty rainy here right now (11:45) and has been all morning. It’s also cold in the 40s. Nasty day for baseball. Can’t imagine they’ll have much of a crowd. In a two day span, the Reds went from like 5 errors on the season to 10. No more of that business please. Reminder that today’s game — when it finally starts — will be nationally televised on the MLB Network. @Steve Mancuso: Hopefully that will compell BP to “Be Good Famous” today. @Steve Mancuso: With Cubs announcers from CSN Chicago, presumably. The blackout will be lifted in Reds areas because there is no other Reds TV coverage for this game. @renbutler: Although here in Indianapolis, I assume we’ll still be blacked out on MLB Network, as we’ll get the game directly from CSN Chicago. @Steve Mancuso: Nationally televised Reds game and the B-Team isn’t in? That was like.. Dusty’s go-to move in the past it seemed like. @ToddAlmighty: I think that only applies when Johnny Cueto is starting the game – then you get the B team on national TV. I’d say that’s more than good- that would be very impressive to go 8-2 in an 8 game stretch! Why were Marty & Jeff complaining about AVG w/RISP? @Greg Dafler: Because that’s all Marty knows to talk about. It’s simple. The radio commentary (not just them, but also the local WLW crew this afternoon) is too painful to listen to. @Greg Dafler: What they really, really lack is any sense of context to the things they say as well. Like the other night, Schierholz (sp, whatever, he’s a Cub) was up and Brantley talked about him hitting .500 RISP… uh, is that 1/2 Jeff? 5/10? What? On the mlb.com home page its showing the Arizona/San Fran game as the free game today at 3:45. The home team does have an away game on Fox Midwest at 1:05 maybe that’s why I can’t the Reds game on mlb.com. Talk about rotten luck, WGN is broadcasting the White Sox game at 1:00. Any word on a start time of the Reds beat down of the Schlubs. any guess on start time? No audio from WLW via mlb.com yet. I wonder if Corky “the tortoise” Miller is starting today. I here its a bit nippy in the Queen City today. Gonna be a stinging experience for the hitters today. Blacked out? How is this not criminal? I pay for directv, I pay for the sports package on top of that to get NFLN and MLBN or whatnot… and the entire nation BESIDES me (assuming that since it’s on MLBN it’s being nationally televised) gets to watch my hometown team play? Instead I am listening to some Banana Phone on WLW… really? Actually, the Cardinals and Nationals are the main MLB Network game today. The only people getting the Reds and Cubs on MLB Network are in the Reds, Cardinals, and Nationals markets. @ToddAlmighty: It could be worse, at least you’ll have the audio and the good company of Redleg Nation nation. I understand your frustration though. You seem to have have all your bases covered, and still can’t get a T.V. broadcast of the game. Since we’re in a delay, is it okay to venture off topic (sort of)? FSO only broadcasts 145 games per year, and since I remember the days of only having a dozen or so games on TV, I’m not complaining. However, I wonder how this makes economic sense. Surely, a live Reds game (even a day game) would generate higher ratings than what is on their network today (1986 World Series highlights, an informercial for ATVs, a UFC rerun, and the reair of old guys playing tennis). What am I missing? The Reds would rather have the team on TV than this and would make the deal so the FSO would have the chance to turn a profit. I just don’t get it. @Kyle Farmer: FS Ohio has to pay to show those games. Although their ratings for the game would be higher than 1986 highlights, it’s far less expensive to air the highlights. The ratings would be limited for a day game like this when kids are in school and people are working or attending the game. @renbutler: This makes sense but wouldn’t it be in the interest of the Reds to offer these games to FSO at a discounted rate (because everyone knows the ratings will be lower) rather than not getting anything for them at all? For instance, the Reds say to FSO that you are paying $50 (I’m just making these numbers up) per game for the 145 and we will throw in the day games for $25 each because we know you won’t be able to get the same ad revenue that you would for a prime time game. Reds would love it because they’re adding revenue they don’t have now. FSO would love it because it would beat old guys playing tennis. We’d love it because we would get the see the game. Reds win – FSO wins – Fans win. Maybe the scenario I’m thinking about isn’t possible with MLB rules. @renbutler: This makes sense but wouldnÃ¢â‚¬â„¢t it be in the interest of the Reds to offer these games to FSO at a discounted rate (because everyone knows the ratings will be lower) rather than not getting anything for them at all? For instance, the Reds say to FSO that you are paying $50 (IÃ¢â‚¬â„¢m just making these numbers up) per game for the 145 and we will throw in the day games for $25 each because we know you wonÃ¢â‚¬â„¢t be able to get the same ad revenue that you would for a prime time game. 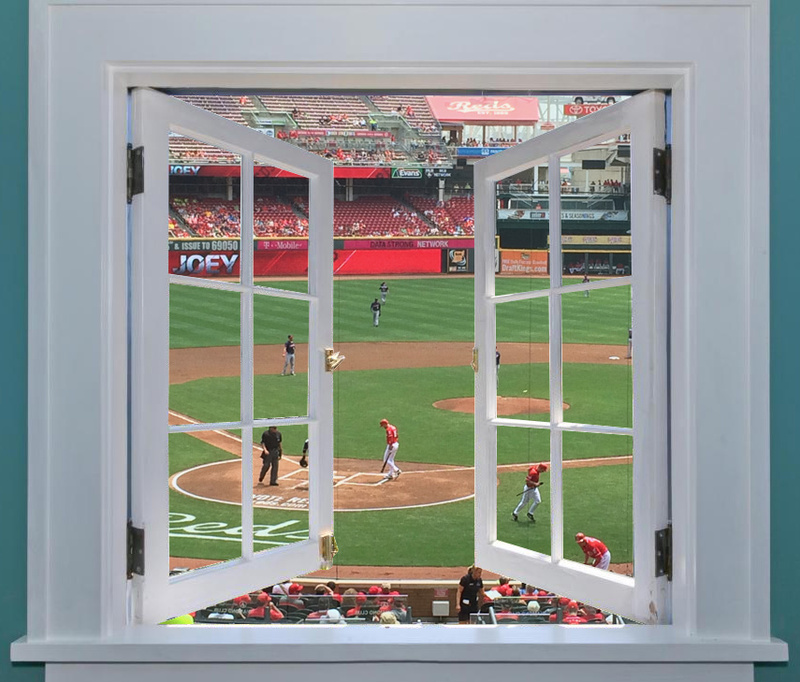 Reds would love it because theyÃ¢â‚¬â„¢re adding revenue they donÃ¢â‚¬â„¢t have now.FSO would love it because it would beat old guys playing tennis.WeÃ¢â‚¬â„¢d love it because we would get the see the game.Reds win Ã¢â‚¬â€œ FSO wins Ã¢â‚¬â€œ Fans win. Maybe the scenario IÃ¢â‚¬â„¢m thinking about isnÃ¢â‚¬â„¢t possible with MLB rules. It still cost money to air the games, etc. (production costs, announcers, etc.) It probably cost $20-30K to do a baseball game. @Kyle Farmer: I think the Reds might like having a few games off the air, as it gives some incentive to attend lightly attended weekday games. Also, I’m sure the production crew likes having a few more off days in a grueling season. @renbutler: The incentive to attend the business day special does make some sense. @Kyle Farmer: Also, finding advertisers for a day game is tough. There is a very limited demographic with kids in school and adults at work. Unfortunately, airing an infomercial for ATVs can be more profitable than a Reds day game for FSO. @ryanpofarrell: If that’s the case then I totally understand the decision. I have the Cardinals game on now (Fox Sports Mid-West) As the crow flies I live about 25 miles east of Busch Stadium. Card @ Nationals 3-0 Cards top 2nd. No Reds T.V. for me today. WGN is showing the White Sox game. @Sergeant2: You should get the Reds on MLB Network once the game comes on the air. CSN is NOT currently live because of the delay. @renbutler: Isn’t MLB Network a premium channel you have to pay extra for? Its not the same as mlb.com is it? On the mlb.com home page its listing the Arizona-San Fran game as the free game today at 3:45. I’ll be checking for sure when the game starts. Any word on a start time. @Sergeant2: MLB Network’s availability varies by television provider. I get it on DirecTV as part of the base Choice package. It is definitely NOT the same as MLB.com. @renbutler: Thanks for the info. Small sample experiment, probably won’t work. Ground crew readying the field for a likely 2 PM EDT start according to MLB. I’m blacked out here in Columbus. Ridiculus! @WedgieSanders: Blacked out on TV or MLB.TV? Try MLB Network after the game starts. I’ve noticed that official scorers throughout mlb have been terrible for several years now. In short, everything is a hit. It’s amazing that no one has hit .400 with how reluctant these guys are to charge an error for anything. And if they have any excuse to charge a hit and an error (like on the Cozart play) they will. Audio is up and running on mlb.com. yahoo! Go Reds! The obsession with performance with “runners in scoring position” is completely misplaced if one is looking for meaningful statistics in terms of predictive value or diagnosing a problem. It’s no different than citing past performances on Thursday as a way to predict how the Reds will hit tomorrow. They have been the seventh best in all baseball in average with RISP, fourth best in OBP with RISP and eleventh best in SLG with RISP. In short, the Reds have been tremendous at the plate with RISP this season — in comparison to other teams as well as their own performance without RISP. How have the Nationals becomes as irritating to me as the Cards? I hope they both loose! Can that happen? I predict Latos to go 7 strong innings today and get a Reds Win! Reds Win! @Steve Mancuso: Ranks in NL over past few years? Thanks! @Steve Mancuso: What I don’t understand is why it’s such an obsession for them. Radio guys have to just talk and talk and talk, and they don’t have all the stats in front of them all the time, so I could forgive the off-hand comment about RISP here and there when the Reds blow a chance to score. Heisey is hitting under .200 with 2 walks. Cozart hasn’t hit a lick outside of 3 games. Bruce is striking out in 1/3 of his PA.
Paul is rotting on the bench. Hoover has been used way too much. @al: Good question. My guesses: (1) it’s simple, (2) it’s lazy, (3) it conveys a (false) impression they have a particular insight on the team. I agree, there is plenty else to comment about. Overall, the Reds have been an excellent hitting team. @Sergeant2: Yeah, I called it “brain dead” in the recap for that game. As someone pointed out, the team that holds the record all time for leaving runners on base is the 1976 Reds. Okay, now that the game has started, everybody in a Reds market that doesn’t overlap with a Cubs market should have the game on MLB Network Alt. (channel 214 on DirecTV). Cards and Nats markets should also have the game on MLBN. All Cubs markets should see the game on CSN Chicago (665 on DirecTV). Report back if this doesn’t work for you, as I’d like to know about it. @renbutler: It should also be on Extra Innings in non-Cubs markets. Alright! Game underway. Already on tap for a 27-pitch perfect game. @bearcats2004: Never mind. Some idiot didn’t have “pitch by pitch” mode on . . .
Somebody talk me back from the ledge…quick!!! Two batters retired in the 1st inning and now an ‘INJURY’ delay? Latos gets hit by another screamer. The Reds have certainly not had luck on their sides in the early going this year. @al: Ever since the two games immediately following the Chapman decision…bad mojo. Is it just me or does it seem that we’ve had a ton of pitchers hit this year? @Kyle Farmer: Yeah, somethings out of whack. Either Choo is getting plunked while hitting or the pitcher is getting plunked while pitching. @Kyle Farmer: i don’t think it’s just you since the announcers just said the same thing. That was a 1-4-6 infield hit for Choo. @rfay00: Cubs pitcher. he grabbed at Choo’s comebacker and hurt his finger. Why on earth would you call a hit and run with possibly the worst hitter in your lineup at the plate? @eric nyc: (looking for possible explanation…) Maybe it was a stolen base attempt? @Steve Mancuso: Would make more sense. Cubs announcers seemed to think it was a hit and run. @Steve Mancuso: I hate it when Dusty puts the running game on. Cozart’s was a hit and run. @Steve Mancuso: It was a hit and run. Cozart shouldn’t even have swung in any case. @eric nyc: Don’t you know? That’s what you do with your SS #2 hitter. Who cares if he can actually perform the task asked for. How many outs have the Reds run into recently? Someone just needs to tell Dusty to just do nothing. If Dusty did nothing during the games and just let the players play, the Reds would win more. That has to be the mark of a bad manager. @al: Choo gets on 1B. Dusty lets Cozart hit and Cozart grounds into a double play. Dusty has Choo running and Cozart pops out into a double play. Solution: QUIT HITTING COZART IN THE #2 HOLE! The strategy of putting one of the worst hitters on the team in between the two best seems to have failed again this inning. If Dusty Baker is so concerned with having batters drive in runners in scoring position, he should try having the good hitters batting after the hitters who get on base. I’m sure it’s just a coincidence again. 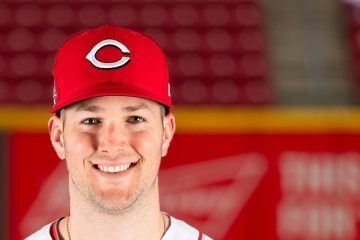 @Steve Mancuso: Cozart is .271/.314/.458/.772 in the #2 slot this season. Yeah, small sample size, and it could be better, but it could definitely be worse. @renbutler: He’s sub-.200 on the season. I think we’ve seen the #2 spot magic wear off by now. Why have a #2 hitter with a .314 OBP when you could instead have one with .341 (Frazier), .385 (Mesoraco) or .346 (Paul)? @renbutler: I’m not saying it’s a great choice. I’m just saying that he hasn’t been a horrible hitter in the #2 slot so far this season, even with the current 3+ game stretch. @Steve Mancuso: Didn’t Chad Dotson talk about endless harping before the season started? I think we’ve heard enough about Cozart sucking in the two hole. His career 2-hole stats are good but there is a potentially better choice right now. We got it. @Steve Mancuso: DidnÃ¢â‚¬â„¢t Chad Dotson talk about endless harping before the season started?I think weÃ¢â‚¬â„¢ve heard enough about Cozart sucking in the two hole.His career 2-hole stats are good but there is a potentially better choice right now.We got it. Why have this board then? Steve is one of the best posters on this board. @AnnapolisHoosier: I agree that Steve is a fantastic poster, just enough already about Cozart sucking right now…in 2-hole…everywhere. Ump’s calling a tight strike zone so far. @eric nyc: Brantley said this is a young ump who has a small strike zone. And that’s just this homestand. Gave away 2 outs that inning. Joey Votto does not need to be stealing bases. And we run into another out. Unreal. Did Dusty tell these guys we need to get our running game going or what? Aside from some very specific situations, I would be fine if this team never attempted a hit and run or stolen base for the rest of the season. There are too many good hitters up and down this lineup and NO ONE is particularly fast. That got me thinking, who ARE the fastest guys on our team right now? Robinson, obviously, then….? Phillips, Choo, Heisey, XPaul, and Bruce all seem to be able to motor some. But yeah, no super burners. @CI3J: Choo and Phillips should get about 15 SB a piece. Votto and Bruce should be good for 5+ in the right situations. Heisey, Paul, and Robinson can all swipe one here and there off the bench. But just let them steal if they’re going to steal. This hit and run crap is killing me. Dusty just gets bored I think. @CI3J: Leake? I’ve heard Brantley say that Chapman is the best athlete on the team, so maybe he’s fast. @Steve Mancuso: I’m pretty sure that I saw John Fay respond to a question of who was the fastest player on the 40 man roster with Chapman. @Kyle Farmer: Right now Robinson is easily the fastest. @Steve Mancuso: IÃ¢â‚¬â„¢m pretty sure that I saw John Fay respond to a question of who was the fastest player on the 40 man roster with Chapman. You are correct. He did say that. I guess one way to stay warm is run the bases willy nilly. It was a fluke pop up. I like to press the other teams defense early. Especially the Cubs Defense! @hydeman: what in the world makes you say that was a fluke? Cozart has been pretty terrible this year, I certainly wasn’t expecting him to rip one there. @al: The Fluke part is the short fly that gives the runner no chance to locate the ball and try to make it back. @hydeman: Choo was totally deked by Castro and slid into 2nd. A flyball anywhere would have gotten him. A swing and a miss would have gotten him too. Only a hit or a groundball out would have made the hit and run work. @hydeman: This is a game where a key to winning is running up Jeff S.’s pitch count. Cozart’s pop up was partly due to his swinging at a bad pitch, because he felt he had to swing. And hit and run with a pitcher who gets a lot of swings and misses also not a good idea. Wow Navarro got even fatter over the winter. Well at least we’re hitting today. The Reds now have the 2nd worst SB% in all of baseball at 53% (8 for 15). Most of those caught stealing have been on busted hit and runs. They have also made 7 additional outs on the bases when guys get doubled up, and most of those have been on busted hit and runs. So conservatively, Dusty’s running game has cost the Reds around 10 outs so far, or about one every other game. All the more reason for Dusty to keep calling for hit and runs, because the law of averages says sooner or later they are gonna work! Right? That’s…. That’s the law of averages, right? The Cubs network shows OBP as part of the regular graphic for each player. Lots of teams do that. I wish FSO would do it. How bout that bloody finger for samarzdia? @hydeman: It looks nasty. Does it give him a spitter ? Don’t know how he’s pitching with that finger. Has to hurt like a mother.Going to start effecting his control pretty soon. @eric nyc: It has to help that it’s probably numb. I’m stuck with MLB Gameday only so I haven’t seen it yet. A little ahead of yourselves when he’s 2 innings in and down 0-2 in his first AB? Guess they have to talk about SOMETHING. Cubs baseball isn’t all that fun to chat about. 4th hit in 2+ innings, but half have been given back. Mesoraco has been swinging a pretty good bat this year. Much better approach. That called third strike on Choo was really high ball four. Checking in… looks like their pecking at Samardiza but not quite breaking through yet? They’ll get there. @Matt WI: Three hits from the first 5 Reds batters in the game wasted by 2 hit and run outs. Not how to peck away. Are we sure Billy Hamilton can’t play shortstop? Choo in CF and BHam at SS sounds pretty good, don’t it? @CI3J: Yeah, it seems like this “shortstop of the future” stuff for Cozart may have been a little premature. The dropoff from Choo’s offense to Hamilton’s next year could be pretty huge. But it’s hard to imagine that Hamilton couldn’t top what Cozart’s doing right now. Brantley… you are awful. Joey Votto striking out is not an exciting thing. Please don’t call it as such. Wow, don’t know if I remember the last time I saw Votto go down on 3 pitches. @CI3J: Coming into today, he had three Ks on 0-2 counts — although it’s possible he fouled some off with two strikes. I’m ready for the Reds to try something different with batting instruction. I don’t like the approach of many of our batters. Maybe it’s not Jacoby’s fault or instruction at all, but repeating the same problems over and over doesn’t seem to make sense. @jas_428: Not saying I disagree, it would be nice to see guys like Cozart and Heisey take more pitches, but we do lead the NL in runs. 60 pitches in 3 innings and a bloody finger for Samardzija. Perhaps the Reds can break into the bullpen early. Gameday Scout says “Latos hold runners to .195 Avg in his first 45 pitches, but .259 after that” Dumb. Well, there goes the no hitter. @ToddAlmighty: It wasn’t tiny on the high strike 3 to Choo. I just realized that was Choo that got for Samardzija. I guess he figures if the pitchers are going to keep hitting him, he’ll start returning the favor and hit them. I’ll tell ya, if you didn’t know better you would swear Jeff Brantley was a Cubs announcer with the way he calls a Reds hitter striking out. @Sergeant2: I hear you Sarge. Where do we file our litany of complaints? @Matt WI: Probably the round file. @Sergeant2: I’ll echo this as often as I am able to. This is my biggest pet peeve about listening to Brantley’s play-by-play. @Sergeant2: Brantley’s always on the pitcher’s side. @pinson343: I understand what your saying, but its more then just that. @pinson343: Maybe that’s it… he gets juiced watching pitchers go to work. So Choo can’t play CF ? Nice catch by Choo there to save a run. He just Choo’d them up and spat them out. In danger of wasting another great outing by Latos…come on boys, get some runs. Typically the teams with the higher/highest OBP are also the league leaders in runs scored AND runners left on base. Those team that don’t get on base neither score runs nor leave anyone on base. @Greg Dafler: I see what your saying, it makes perfect sense to me. You can’t have one without the other. Thanks for the explanation. Guy’s walked two batters in a row, the last one on 4 pitches and Devin’s swinging on the first pitch? I just saw the replay of Choo’s catch. He is looking MUCH more comfortable in CF. That was an excellent play on probably the hardest catch to make in CF, a line drive hit to the wall straight over your head. Latos starting to give up a lot of hard hit balls. Every start he’s made he’s been great early and fell apart late. Latos starting to give up a lot of hard hit balls. Every start heÃ¢â‚¬â„¢s made heÃ¢â‚¬â„¢s been great early and fell apart late. @Bill Lack: relative to how he had been pitching, yeah. Giving up multiple HRs in an inning and getting pulled seems good to you? Steve Mancuso said The Cubs network shows OBP as part of the regular graphic for each player. Lots of teams do that. I wish FSO would do it. That is a serious question, in general though. When listening to the game, and a batter is coming up to lead off the inning (or any batter with the bases empty), what is more important – AVG, HR, RBI totals or OBP? Gameday, first three pitches to Valbuena were all strikes and none even really close. You’ll be pleased to know hitters hit .375 off Notre Dame boy after 75 pitches. @Matt WI: Naturally I know the answer because I’m smrt. But my cousin was wondering whats up with Notre Dame thing. @Sergeant2: a little late, but…Szamardja was a wide receiver for Notre Dame. If the Reds can score, Latos could give the bullpen a much needed breather today. Are these teams in a hurry to just get into extras? Is it an implied agreement? Good hustle by Cozart. Anything to get on for Joey. Think Brandon overplayed that calling Choo off. Should have let Choo take it. Hope that doesn’t bite us. Ugh. Cards up 4-1 on Nats, bottom of 8. Good job by Latos. Samardzija starts the bottom of the 6th having thrown 88 pitches. Time to make hay! Super Todd! Wow. That thing got absolutely demolished. whoa. toddfather with a monster jam. Super Todd MURDERED that ball! Longest homer I’ve seen in this park in a LONG time! I was just going to say – the last person I could remember hitting a ball that far in this park was Willy Mo Pena. Cubs announcers beat me to it. How about that one Dunn hit over the batter’s eye into the river? way to get off the schnide* Todd! There’s your run Mat. Now take that wagon home. Scariest part is it didn’t even look like a particularly hard swing. That thing was just launched right out the front door. Todd Frazier put whats known in the business as a “Charge” in that baseball. 482 ft HR by Todd Frazier. Can you imagine how far the ball would have went if he had used both hands. Wow! 7th longest hit HR in the history of GABP. Latos and the home plate umpire sharing a laugh about Mesoraco taking a foul tip off his cup. The Cubs have a strong 1-2-3 punch with Wood, Villanueva, and Samardzija. Then it’s a long way down to Jackson and Feldman. If the rotation holds, the Reds will face Villanueva, Samardzija, and Jackson next weekend. @renbutler: Wood has been extremely lucky on balls in play thus far this year. Also, his walk to K ratio is pretty terrible. 2.08 ERA and 4.44 xFIP. He’s a good 4th starter, but hardly intimidating at the top of the rotation. I hope we start getting Latos some wins because he’s looking like a legit Cy Young contender. If he’s having this good of an April just imagine when he really gets rolling in the summer. It’s good that the Cubs have a running game too. Not to be greedy, but can we score Latos at least a couple more runs here? @preach: I think the man deserves that. Latos still looking sharp, and with a low enough pitch count to go 8. Hand off to Chapman for the 9th. Latos at 90 pitches through 7 innings. He should be good for facing 6-7-8 next inning. Then Chapman in the ninth. You and Al are making too much sense. Prepare for sadness. Have there been any interviews with Latos about him overcoming his April struggles yet? I’d love to know what if anything he’s changed to get past it. Last year he was ice cold this month and now he’s just strong. Cubs aren’t playing by the rules if the 6-7-8 guys bat in the eighth. They are supposed to be saved for Chapman in the 9th. Stupid Cubs. Hey look Choo’s on base. Choo 2 for 4 but lowers his OBP. More Choo. Choo’s been banking them up the box all day. Cozart is almost an automatic double play now. Dusty really has to move him back. I’d rather have Heisey batting #2. Cozart is almost an automatic double play now. Dusty really has to move him back. IÃ¢â‚¬â„¢d rather have Heisey batting #2. @eric nyc: Why not Frazier? Or Phillips and Frazier #4? It doesn’t make any sense to have someone who isn’t one of your 5 best hitters getting the second most ABs. There is no argument for that. @al: Well assuming your options are Cozart and Heisey…We are talking about Dusty Baker here. Barring a trade or a miraculous recovery from Ludwick, BP isn’t going anywhere. And Frazier doesn’t have the patience to bat 2nd. Cozart has been the Choo eraser in this game. 4 out of 5 dentists approve of using this Chooing tobacco. The 5th was a bitter Indians fan. Broxton warming up. I assume that’s just in case he’s needed in this inning. Would think they’d go ahead and have Chapman at least walking around by now. Think Latos might be done. That last pitch was ugly. Trust your defense here, Latos. Coax that grounder. @Matt WI: So much for that plan. Gotta be his last batter if he reaches. Probably should be. Jeez, all Mat can do is THROW strikes. The umpire has a responsibility to call a strike a strike! Now this should be Chapman… get some K’s, get out of the deal. Reds really need this game, I would have used a fresh Broxton for the 8th and Chappy in the 9th. Yeah seems like we see this a lot. A one-run lead with an outstanding effort by the starter; and because he has pitched so well you give him a ittle extra slack which has bad results. With this offense right now the Reds have no room for error. Too bad. Latos was really unlucky on Valbuena’s “hit” — a soft ground ball that a foot or two to either side is a double play. Gotta set up the double play now. Why are they playing the infield so far back? Reds need to get Cozart out of hitting #2 and put him in the back of the order. He is killing them. Heisey would not be much better. I would have Xavier Paul play LF and hit 2nd. pitching to soriano here in a 1-run game is stupid. Go up and away for the K now. Is the pitch tracker out of calibration? Or is Soriano really swinging at pitches over a foot inside? Alright. One more tough out to go. broxton coming through there. that was a huge k. BANG!!! Way to go Brox. Walk DeJesus to face Borbon. @Steve Mancuso: That’s what I would have done. 16,462 on hand for today’s titanic struggle, 16,462. @Matt WI: Yep. Fantastic job by Broxton. Incredible play by Cozart there, wow. well, there you go cozart, that was a great play. had him played just right up the middle. OK. Cozart is totally forgiven for all his errors this week. And maybe even his DP last inning. What a fantastic play by Zack Cozart. Cozart ! I thought it would at least be an IF hit to tie up the score. Good job by Broxton. What an absolutely sensational job by the Brox-town! He has now officially completed the conversion from a thrower to a top-shelf pitcher to be feared. Joey has been 0-1 the last 3 AB’s. @Matt WI: By pitch count, I mean. 3 K’s for Joey today…man that 2 game run he went on really had me thinking he had pulled it together. I wish we would have given him today off. We’ll need him for the road trip. I didn’t realize how good of a defensive play that was from Cozart until I saw the replay. I knew he covered a lot of ground, but I didn’t realize he threw it across his body as he was falling into right field…wow. @eric nyc: Yeh I was thinking as he gloved it, nice play to keep the score tied. Didn’t see an out at first coming at all. Hopefully I’ll see Cozarts play on ESPN highlights. I definitely want see it. @Sergeant2: Yeah… Gameday didn’t load it up as a highlight. Punks. @Matt WI: Oh. It just happened. I have power. Chapman hasn’t thrown anything but a fastball yet. Totally regressed to a thrower. What a waste of talent. @eric nyc: Yes 16 fastballs and one slider. He’s been using the slider pretty effectively this year though. He uses it against tough RHed hitters. A slider against Rizzo would have been a good idea. No no no, Aroldis Chapman laughs at chance. Then he throws a 100 MPH fastball right by it. a win’s a win, and i’ll take a homestand like this all year. but you’d have liked these games against the cubs to have had a little more breathing room. @al: Sure but they were 3 games against 2 hot starting pitchers and then their ace. @eric nyc: 3 of his pitches to Rizzo, including the single, were “right down broadway” as Brantley would say according to Gamecast. @Matt WI: They were right down Broadway period. Nice win ! The Cubs tv broadcasters are much better than their radio broadcasters. They were saying that if Chapman is going to be used in relief, why not in high leverage situations like today’s 8th inning. Today of course Mr. Broxton did an excellent job in the 8th, he handled Soriano as well as anyone could. Does that make the Reds 9-2 over their last 9 games!? Good win for the Reds and in only 9 innings to boot. Can’t say enough about Latos performance today, awesome would be a good start though. On to D.C. and some more wins for the Redlegs. Go Reds! Adios Amigos. chapman did throw one slider in the game. just sayin. @al: Right 16 fastballs and one slider (for a ball). Was just saying above, I notice that this year so far he uses it on dangerous RHed hitters.